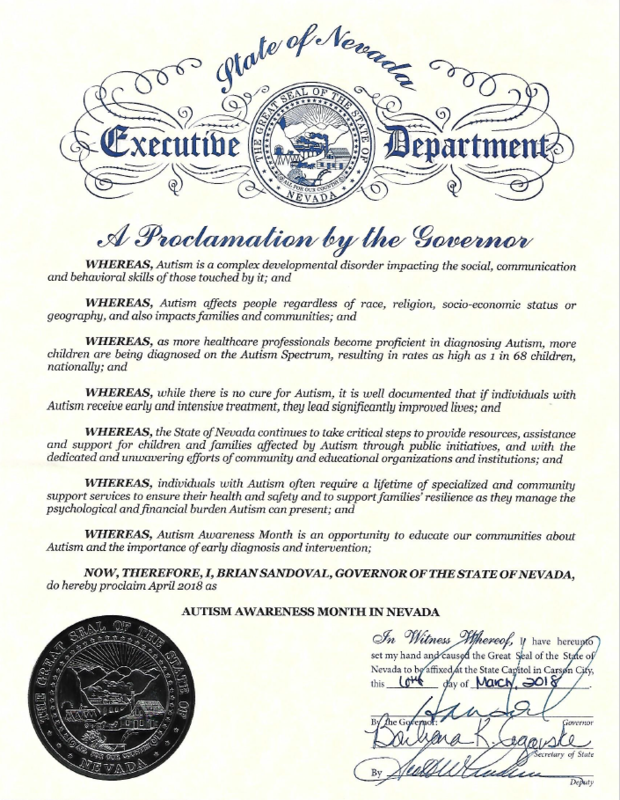 Newton Northern Nevada celebrated Autism Awareness Month with their 5th Annual Reno Aces Night Friday, April 6, versus the Fresno Grizzlies. Tenth grader, Briana Ward, threw out the first pitch! 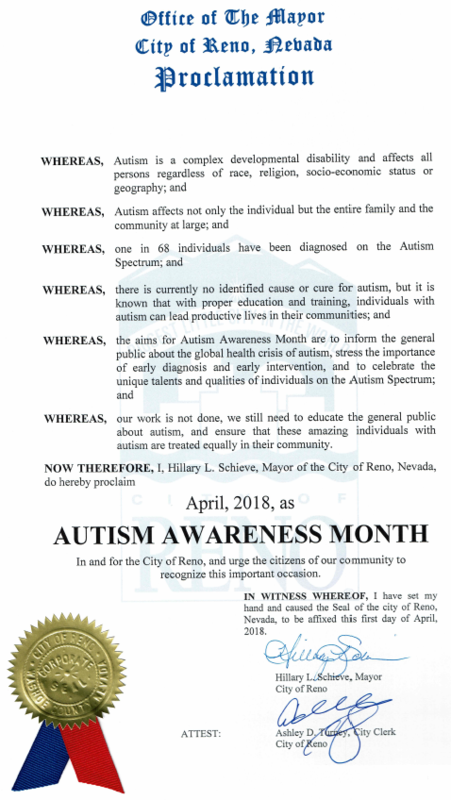 They also received proclamations declaring April Autism Awarenss Month in Nevada by Reno Mayor Hillary Schieve and Nevada Governor Brian Sandoval! 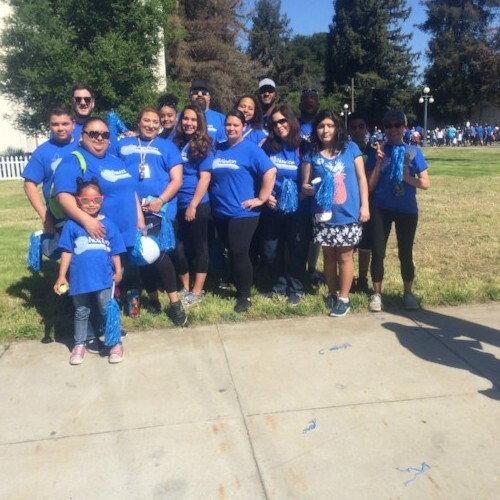 Newton & Pine Hill San Jose attended the Autism Speaks Walk April 14 to celebrate Autism Awareness Month! This awesome crew raised $270 and had a blast representing our schools! 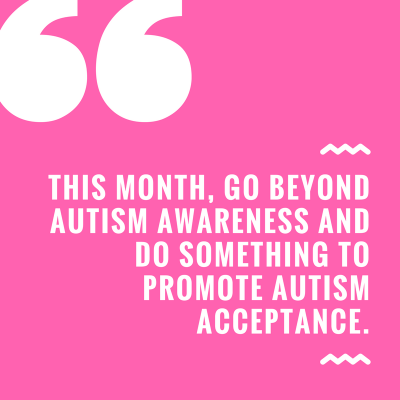 A very special THANK YOU to Mr. Wallace for mobilizing our walk team and to our staff and families for participating in this event to raise funds for Austim Speaks and awareness for acceptance of autism. 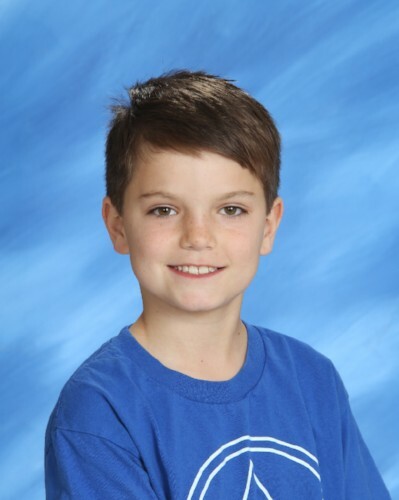 School: Newton Northern NevadaWhat are some hobbies you enjoy when not at school? Swimming, basketball, sledding, watching YouTube with DanTDM, watching movies with my family. 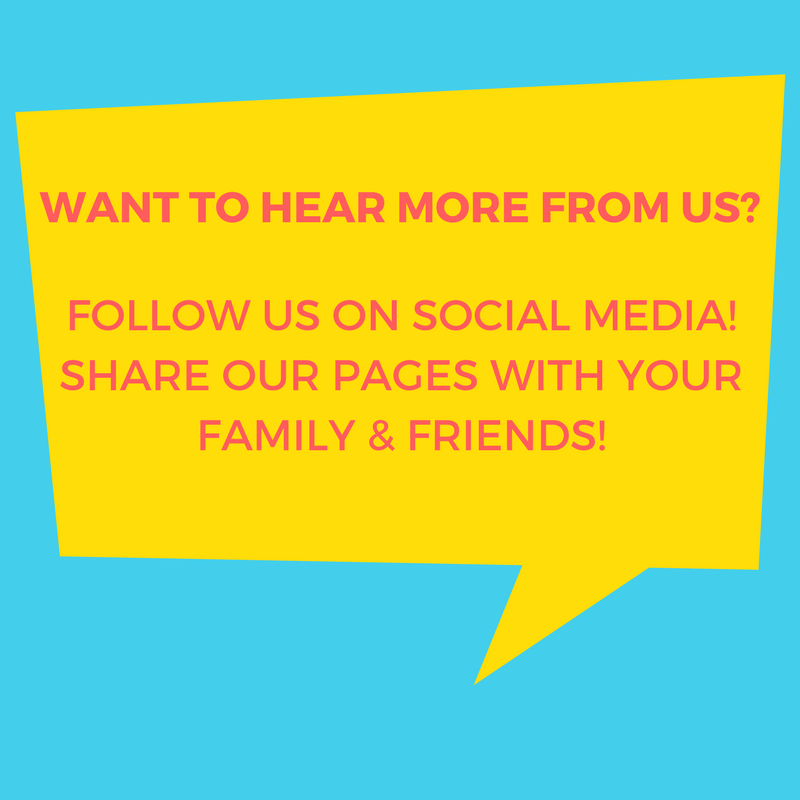 I really like Legos also.What do you enjoy about attending Newton Learning Center? Daunte Mills has been at Pine Hill School for three years. He currently serves as a classroom paraprofessional and Physical Education leader. Last summer, he led the charge in revamping our entire P.E. program. Because of his efforts, students became readily engaged in the activities, learned sportsmanship and began advocating for more time and activities. In fall of 2017 our P.E. program grew to include competitive and cooperative sports. 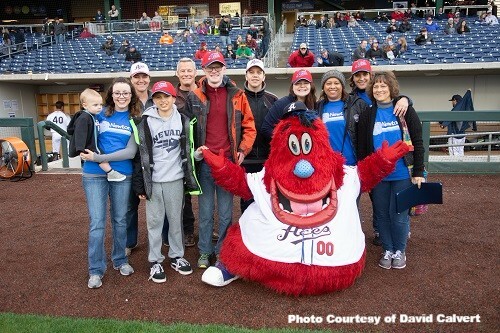 In December, the program hosted its first schoolwide softball game that was attended by parents, family and caregivers. This was followed by a schoolwide soccer tournament in late January that included students from every class on campus! 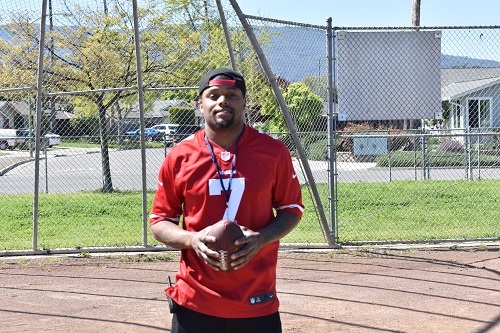 As a result of Daunte’s passion for working with our students and his unique ability to organize physical activities, the students have benefitted from an enhanced P.E. program that teaches them how to participate, cooperate, and use individual skills and abilities to foster team unity. Daunte has an infectious personality and is wonderful with the kids! 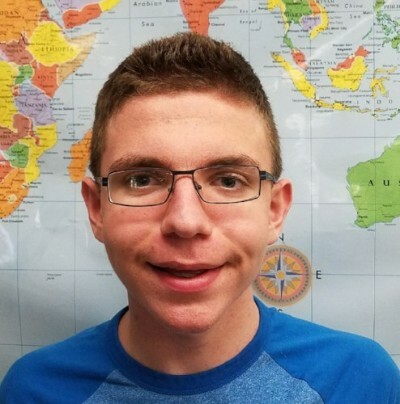 He is an absolute gem and we are thrilled he is part of our team!